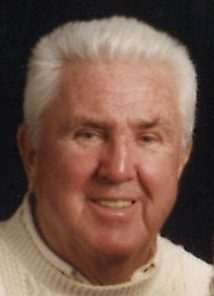 Wilcie W. “Wes” Walls passed away peacefully on April 14, 2019 at the age of 95 at The Country House surrounded by his family. Having been born and lived in Wilmington his entire life, Wes is survived by the love of his life, his wife Joan (Underwood) of 64 years, his two sons, Chris of Ormond Beach FL and Scott of Las Vegas NV along with 4 grandchildren and 6 great grandchildren. Wes proudly served in WWII with the 82nd Airborne and participated in D Day where he received the Purple Heart. Upon his return from the war, he met Joan on Cape Cod. Married in 1954 they raised their 2 sons in Wilmington. His love of cars lead him to many years in the automotive industry. Later, he supported his wife in her gourmet food business, The Country Mouse of Centerville/ Greenville. His greatest joy was spending time at their cottage in Stone Harbor N.J. whether just sitting on their front porch or riding the streets on his red scooter, he was often regarded as “The Mayor”. He will be remembered by his friends for his bright smile and fun hearted soul, bringing light to any party or occasion. No service will be held. Donations in memory may be made to Veterans of Foreign Wars, 406 W. 34th Street, Kansas City, MO 64111.